Last edited by tdbrickndirt; 02-13-2019 at 08:43 PM. Last edited by MDG_Jason; 02-13-2019 at 10:21 PM. 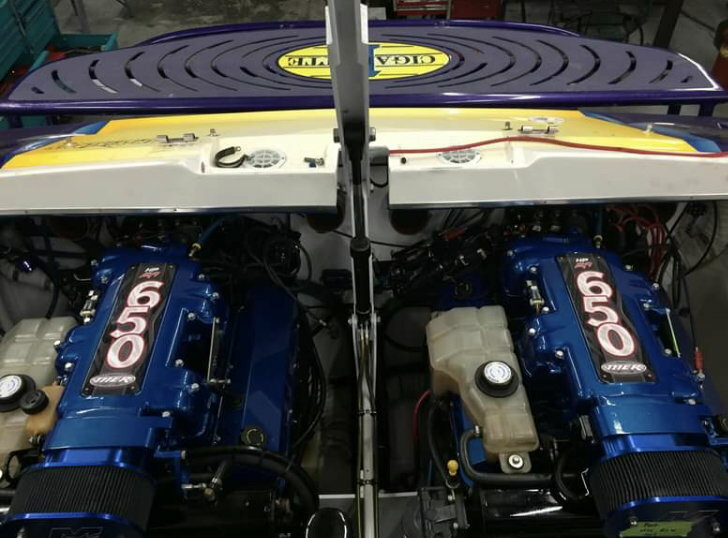 My Boat: "6AM LOTO alarm clock with dry exhaust"
Just curious whats the most HP you have seen out of a 525 without using a supercharger or turbos? I stopped reading after this because you clearly don’t like to party. Sydwayz, hogie roll, Gimme Fuel and 4 others like this. 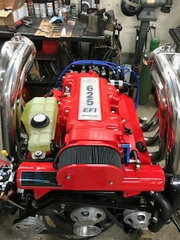 Did you ever re-dyno after the EFI was reinstalled? The 525 intake runes out of air flow in the low 600hp range. Opening the mouth helps but its restrictive in other places. I did build mine last year made them into 540's opened intake and cnc heads stock cams and dyno 620 hp. But the motors gained a lot of torque. I gained 7 mph over stock 525's in a 42 Fountian. I gotta say, I love seeing “blue power” in colors other than blue. I wish more folks would have opted for that upgrade. I always wanted to build a pearl white 37AT with one red motor and one blue one.